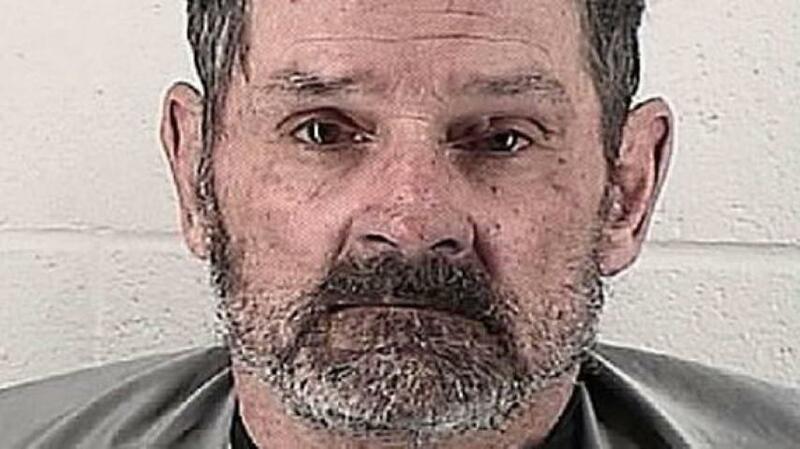 Frazier Glenn Cross Jr. is charged with capital murder in the deaths of three people at Overland Park, Kan., Jewish sites in April 2014. The man accused of killing three people last spring at two Overland Park, Kan., Jewish sites has two names. There's the name he was born with, Frazier Glenn Miller Jr., which he used to build a following of like-minded anti-Semites and radical extremists in the 1980s. And then there's the name he was given after turning state's evidence, Frazier Glenn Cross Jr., which remains his legal name. Because the state of Kansas is trying him as Frazier Glenn Cross Jr., KCUR has chosen to use the name "Cross" in our reporting about the shootings at the Jewish Community Center and Village Shalom on April 13, 2014. How Frazier Glenn Miller Jr. became Frazier Glenn Cross Jr.
Because some other media outlets are using "Miller" in their reporting, we turned to Mark Potok with the Southern Poverty Law Center for clarification. Potok says SPLC won a judgment against Cross – then Miller – in the '80s for forming an illegal paramilitary organization. He was supposed to serve six months in prison, but he fled. Police later picked him up in Missouri with four other Klansman in, as Potok puts it, "a trailer loaded up with guns and explosives." At the time, the federal government was putting together a massive sedition case against several Klan leaders. "So Frazier Glenn Miller agrees to testify for the government," says Potok. "He's a traitor to the cause." As a federal informant, he was placed in a special prison for witnesses and released as Frazier Glenn Cross Jr. in 1990. At some point, he abandoned his government-issued identity and began using the name Miller again, including in 2006 and 2010 when he ran unsuccessfully for Congress. An eyewitness to the shootings last spring at Overland Park, Kan., Jewish sites told a Johnson County judge Monday she feared for her life when the defendant asked if she was a Jew. "I knew if I gave the wrong answer, he would shoot me," Maggie Hunker testified. Hunker had just finished eating lunch with a friend at Village Shalom on April 13, 2014, when she saw a man gun down a woman in the retirement home's parking lot. That woman was later identified as Terri LaManno.